Many years ago, most people used to prefer to build using traditional materials such as wood and/or concrete block. Metal was not the preferred material then because of the unavailability of steel before. But this is not the case nowadays because steel has become more available with the advent of modern metal production and manufacturing technology through the years. As such, in the past 60 years metal has started to become a popular building material for many building owners. There are some factors which made metal very popular as a building material such as cost of metal material and the faster construction time. Below is a short description of the advantages of metal building materials which make them as a very ideal structure for many purposes. If you are to build structures made from traditional materials like wood, you can expect a lengthy construction time. Metal buildings require less construction time because most of the metal building parts or sections that are used are usually pre-built. Being pre-built, these metals parts are made in factories from raw sheets of metal. Also, the metal panels used in metal buildings are pre-fabricated in such a way that they already look like walls. Wood frames and wood panels need to be set up part by part with a lot of woodworking which can be time consuming. However, metal parts can be easily attached together in a step by step fashion according to the detailed construction procedure that comes with the metal building kit. As such, metal buildings can be constructed much faster than other buildings made from traditional materials. 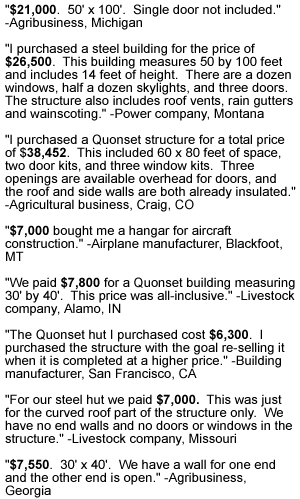 Another reason why metal buildings are very ideal is the high cost efficiency that it can give you. As you can significantly reduce your construction time with metal as a material for your building, naturally you will also save a lot in terms of construction costs. The savings in construction costs will come from the savings you will be making in the salaries of construction personnel. Normally, other buildings made from other materials would require the services of an architect and architects would cost plenty of money. Metal building construction needs only a project coordinator and some construction personnel who will all be working on a lesser construction time as against the time needed to construct buildings made from other materials. 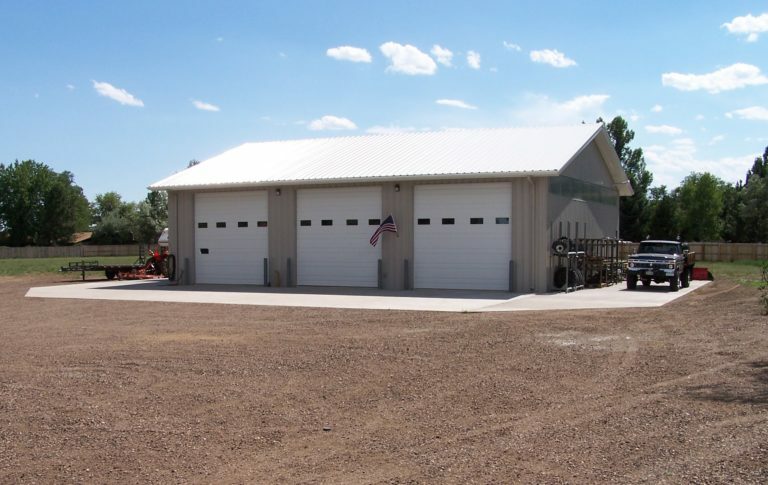 Metal buildings can also score high in terms of quality. The parts or panels used in the construction of metal buildings are produced in assembly line factories. And anything that is produced in an assembly line is considered high quality because of the high standards of production quality observed in these factories. These high quality standards are strictly observed by manufacturers and regulated both by the regulating government agency concerned and other standards certifying bodies in the manufacturing world. 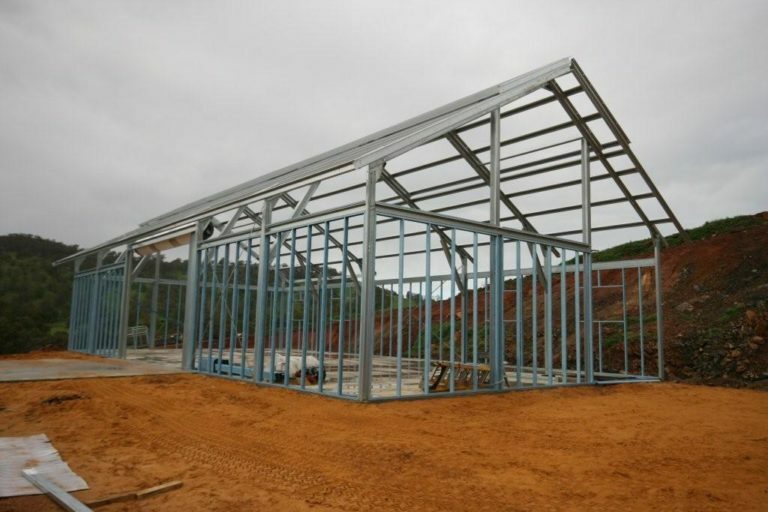 Hence, with high quality materials used in the construction of metal buildings, it can be concluded that metal buildings themselves can be considered to be having a higher quality over other buildings made from other materials such as wood. Most recently, metal buildings can now have a variety of over all look and beauty. Some recent advancement in manufacturing technology has permitted the construction of metal buildings to actually look like other traditional buildings. People now have different options to choose from to make their metal building more or less unique. These options include colors, shapes, sizes and facades. With these available options, you can choose your own preferred design without having to consult the services of an architect. Wooden structures can be customized according to your preferences, but metal buildings can also be similarly customized according to your desired design if you know where to source the right metal building product that fits you best. There are many suppliers of metal building products which offer a great variety of designs and sizes which you can choose from. Another reason why metal buildings are so ideal for many purposes is that the metal materials used for these structures have some notable qualities which can be important to building owners. Metal structures are considered to be highly termite resistant and fire proof. Wooden buildings needed to be protected from termites as such for the owners of these buildings these can be an irritating and on-going concern which can cost a significant amount of money to address. Owners of metal buildings will save a lot of money in the treatment of termites that are needed for wooden building structures. The metal materials used in metal buildings are also fire resistant. As such, metal structures can alleviate the concerns of building owners about the highly flammable characteristics of other buildings materials especially if they have chosen wood as the basic material for their building structure. Also with regard to rainy locations, there are some special formulations of coatings which you can use to make your metal building much more water resistant.